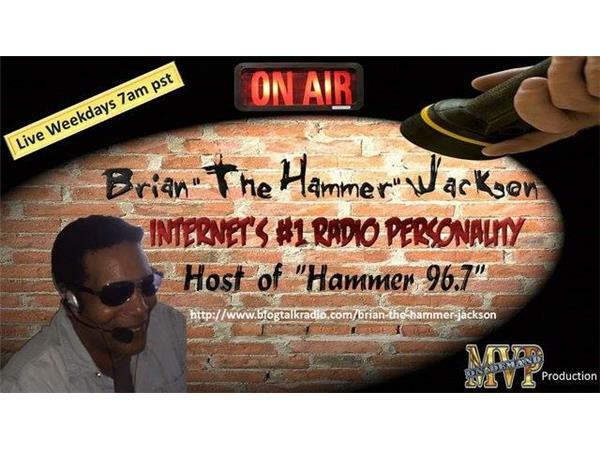 Another Thursday is here, and you have the #1 shock-jock on blogtalk radio-- Brian the Hammer Jackson, and Miss UN-PC, Ellen Johnson..".the only thing pc about me is when I turn on my PC"!!! Today on Hammer 96.7, Brian and I will have headline news, what's trending, box office, as well as the latest in politics---What the hell did Donald Trump say now?! Plus a whole lot more...maybe even a live call or two. And you never know who may stop by to join the party....so come into the studio, and talk about whatever is on your mind, or revisit a story we talked about this past week. If you would like to follow the show, you can go here. And check out our facebook store, fifty fifty one store and our website, Mvp On Demand. And check out our store here.